If you have a full Creative Cloud or just an Acrobat DC subscription, you’ll be interested to know that Adobe has just launched Adobe Scan. Scan is a free document scanning app (available on iOS or Android) that uses Optical Character Scanning (OCR) to convert text in images into editable text. All you need to do is point your device at a document, the app takes a picture and uploads it to the Document Cloud Servers. When you access the PDF version from any device, you’ll find the text selectable and editable. On a first test we found the process simplicity itself though the resulting text was subject to some random and missing characters so we recommend making sure your document is positioned completely flat in a well-lit area to minimise conversion errors. 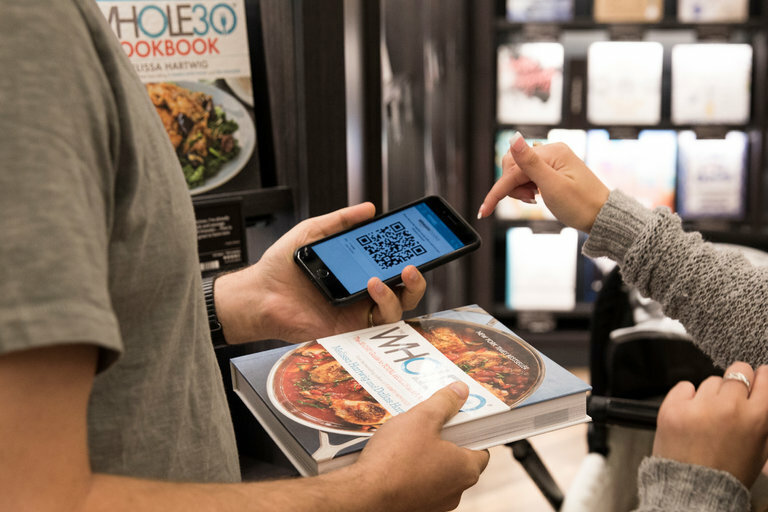 The New York Times takes a look round Amazon’s newly opened brick and mortar store. No coffee, no cash, very little browsing and data mining used to direct customers to the most popular titles. It all sounds very slick and high-tech but not like any bookshop we’d want to bother with. It’s Nice That | Is it ever OK to work for free? Source: It’s Nice That | Is it ever OK to work for free? Here’s a great set of free resources for Illustrator users. Brushes are often overlooked amongst Illustrator’s arsenal of visual effects but they can provide flexible, powerful and very controllable effects. Creativebloq has put together a great list of 20 freebies for you to try out. After seeing three, very similar, flat, computer-screen illustrations in a row on Twitter today, I’m wondering if the whole flat thing isn’t a bit old now? creativelab combines creative skills and technical advice in one place. We have years of experience in design and production as well as extensive experience as technical trainers. creativelab combines those unique skills and makes them accessible in as many ways as possible. Our aim is to enable you to get your message out. This blog will keep you up to date with all our creativity tips, software techniques and technical advice as well as information about our current activities and the best design, publishing and training related material on the web. Please sign up on our website for our monthly newsletter which features more content and advice unique to subscribers. We’re also on Twitter and Facebook please follow or give us a like. You can also email us.